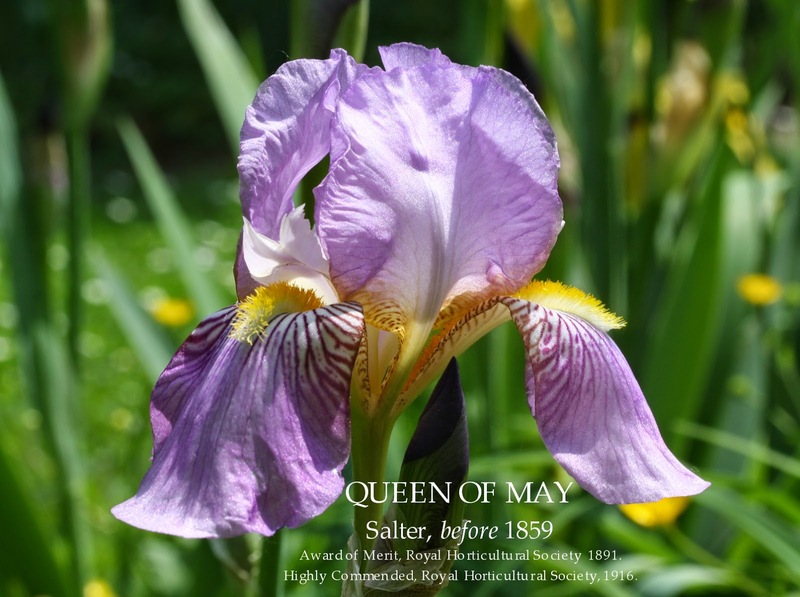 Attributed to John Salter and in the previous post Peter Barr listed 'Queen of May' in his 1874 collection, so I just had to pull some information together to highlight one of the great treasures and possibly one of the great natural hybrid's of the pallida line. It was Milan Blazek who stimulated my interest in this Iris when many years ago we discussed his trip to Yugoslavia to see the vista of natural iris hybrids growing wild. (I must write to Milan to see if he could send the photo of a basket of his pickings of 'Wild Irises') This was a similar journey that William Dykes made in April 1913, and he wrote about his finds titled 'A Dalmatian Iris Hunt' which was published in the Garden Chronicle in 1913. I have always remembered the passage were Dykes found a cliff in an area he called 'the Ombla' in a limestone formation high above a river facing south-west which was covered with wild bearded iris plants, and observed some irises were almost, if not quite, as pink as 'Queen of May'. The Garden, 29th August, 1874. Bearded Iris (I.barbata) Commonly called German Iris, Peter Barr. I. pallida (Reich.). - Standards, dark lavender, passing to light lavender ; falls, purple, passing to light purple. Queen of May. - Standards and falls, rose-lilac. Laurel Hill Nurseries, Stockbridge, Massachusetts. Select List new Hardy Alpine Iris, 1903. Extra Fine Varieties-of Iris Germanica. Queen of May, a most delicate self rose pink. Garden Life, April 2nd, 1910. Irises for Amateurs. An interview with Mr. W.R. Dykes. 'The most Beautiful Flags'. The best pinks are Queen of May and Her Majesty. Iris, The Poor Man's Orchid, Iris Germanica,(Tall Bearded Iris). QUEEN OF MAY. Soft rose lilac, almost pink, a color rare among Irises. Medium. Farr's Hardy Plant Specialities, Wyomissing, Pennsylvania. Fifth Edition Season of 1915 and 1916. 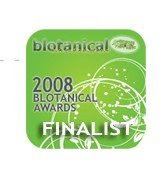 The Pallida varieties are all tall, strong growers, with very wide foliage, highly ornamental at all times. They have the largest flowers of all, and are very sweet-scented, with the fragrance of orange blossoms.Very handsome shades of blue, lavender and purple. QUEEN OF MAY. A lovely soft rose-lilac, almost pink; beautiful. 32 in. The Dean lris Gardens, Moneta, California.The Iris 1914. PALLIDA GROUP. There are some very choice varieties found in this group, with their delicate opaline colors. There are the lighter tints of blue, bluelilac, lavender, rose-lilac, mauve and lavender-purple, as also the darker shades. Most of them have large flowers with tall flowering stems. The plants make a fine appearance with their tall, broad foliage. The flowers are very fragrant. Queen of May. Soft rose-lilac. Very beautiful. 32 inches. Queen of May Soft rose lilac, almost pink. I cannot help thinking that Mr. Weathers (see p. 85) will find that the experience of most growers is not the same as his with regard to unusual forms of Iris flowers. At any rate, my experience has been that among the hybrid bearded Irises flowers with two, four, or five parts instead of the normal three are extremely common The well-known Queen of May is a constant offender in producing four-sided flowers, and among seedling Pallidas it is not at all unusual to obtain a plant which is apt to produce flowers in which all the petals drop and appear to be fails. The worst instance that I have known of this multiplication or deformity of the parts was a flower of the plant usually known as Iris sisyrinchium which had no fewer than ten falls. Queen of May (Reine de Mai) (Salter avant 1859). Rose clair. 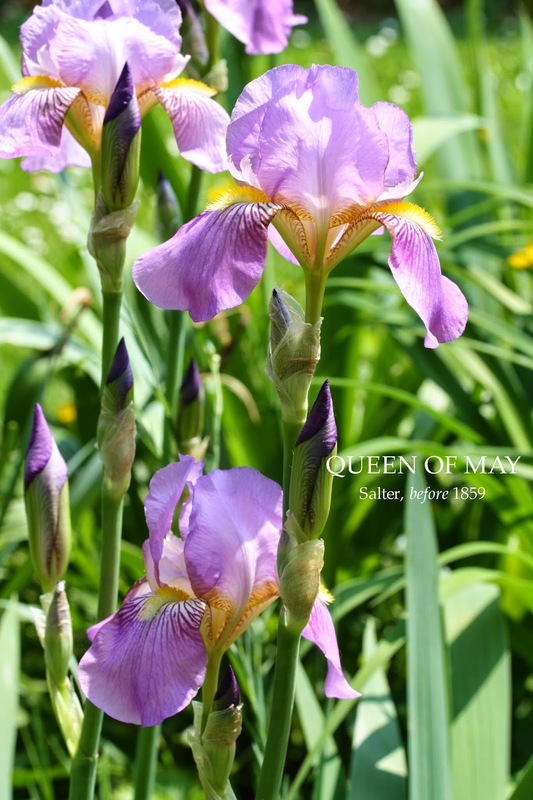 In this case, PYC describes Queen of May as a concolorous blend in which pink predominates. Vilmorin Andrieux & Cie, 4 Quai de la Mégisserie, Paris (1er), Plantes 1925. 219 Queen of May. Demi-hâtif. Toutes les divisions d'un beau rose clair légérement lilacé ; coloris unique ; robuste et florifére. Cornell Extension Bulletin 112, 1925. Bearded Iris A perennial suited to all Gardens. Austin W.W. Sand. Queen of May (Salter 1859). Color effect a reddish phlox purple veined self. Standards light phlox purple to brighter Chinese violet. Falls reddish phlox purple, veined brownish red of the lighter outer haft. The beard is fine, rather sparse, yellow, and orange tipped at the base. The purplish styles bronze at the edge. The plant is of moderately vigorous growth and has medium yellowish-green foliage. The moderately tall, high-branched flowering stalks are freely produced and well furnished with good-sized, sweet-scented blossoms. This is an older sort, outstanding for its pink color mass. Rating 74. Lee R. Bonnewitz Catalog,Van Wert, Ohio,1926. A light lilac-pink variety which is very popular in the middle west. Two rhizomes at 30c each ; five or more rhizomes at 25c each. Bulletin of the American Iris Society, January 1923, Number 7. Description of Varieties, Part II. Brief. Rose to lizeran purple; stalk short and high branched; growth vigorous; 33 in. Details. Very fragrant; Standards arched; Falls drooping; haft white reticulated magenta. Remarks. Probably the, parent of many of the modern "pinks" but it does not carry its hue at all generally. Trials of Bearded Iris Royal Horticultural Society, notes Class V c. as 'Self coloured varieties with falls and standards pale red purple. This class contains the "pink" Irises and is rapidly increasing in size, but there is room for really first class varieties in it still.No dwarf varieties appear in this class. Major Hat Tip and "Merci beaucoup" to my good friend Catherine Adam for sharing with you all the amazing photos of 'Queen of May'. Reproduction in whole or in part of these photo's without the expressed written permission of Catherine Adam is strictly prohibited. Photo credit and copyright Catherine Adam © . Reproduction in whole or in part of this article without the expressed written permission of Heritage Irises is strictly prohibited.